The invention relates to a method for indexing and retrieving multimedia data. In particular the invention provides a method of comparing at least two sets of multimedia data using shape information in order to provides a dissimilarity measure between the sets. The invention finds use in retrieving images or parts of sequences based on their content in image and video sequence databases. We are looking to licence this patent. This is a patent derived from University research. 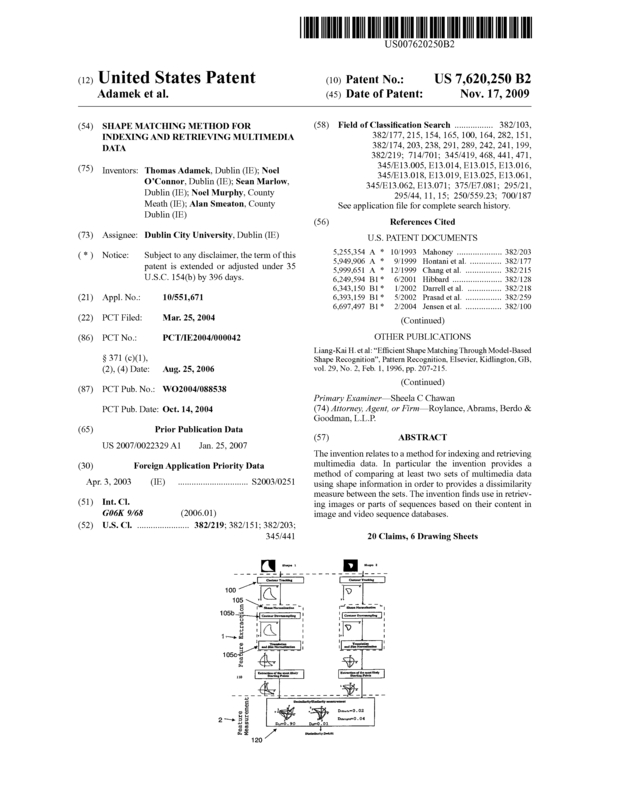 Page created at 2019-04-24 18:51:11, Patent Auction Time.